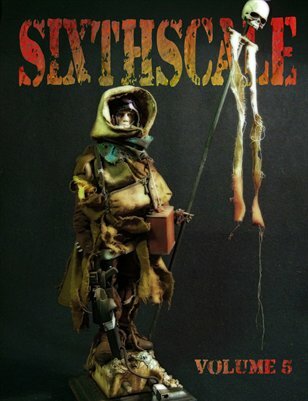 SIXTHSCALE is a celebration of and a Showcase for all aspects of the 1:6 scale Figure Customizing Hobby. Each bookfeatures work by some of the most recognizable artists in the hobby as well as by lesser known but equally talented contributors. This fifth volume includes contributions from Ian Brown, Chris Kinster, John Andriella, Ron Hembling and Terry Rosler.